The tee shot on this 473 yard, par-4 starting hole is a stunner; you must carry a low "bowled" meadow to reach the fairway. 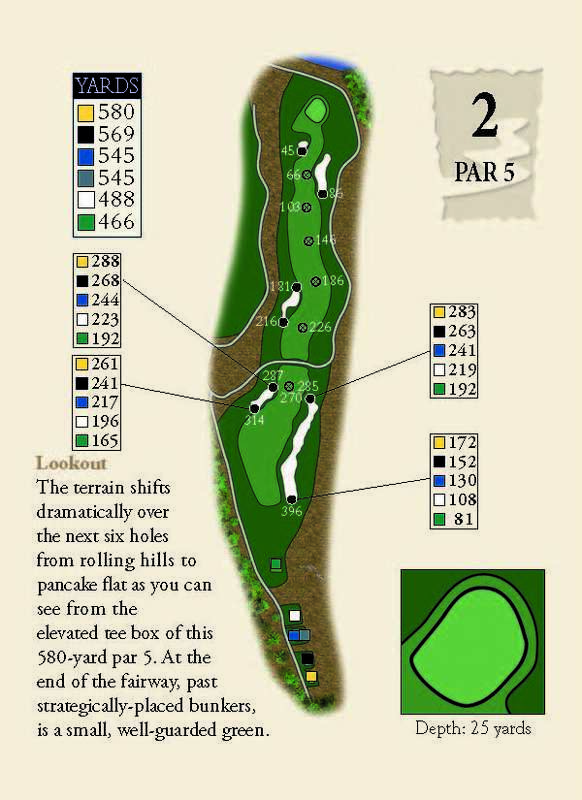 The approach, one of the most demanding on the course, is to an elevated green that sits atop a broad plateau. The terrain shifts dramatically over the next six holes from rolling hills to pancake flat as you can see from the elevated tee box of this 580-yard par 5. 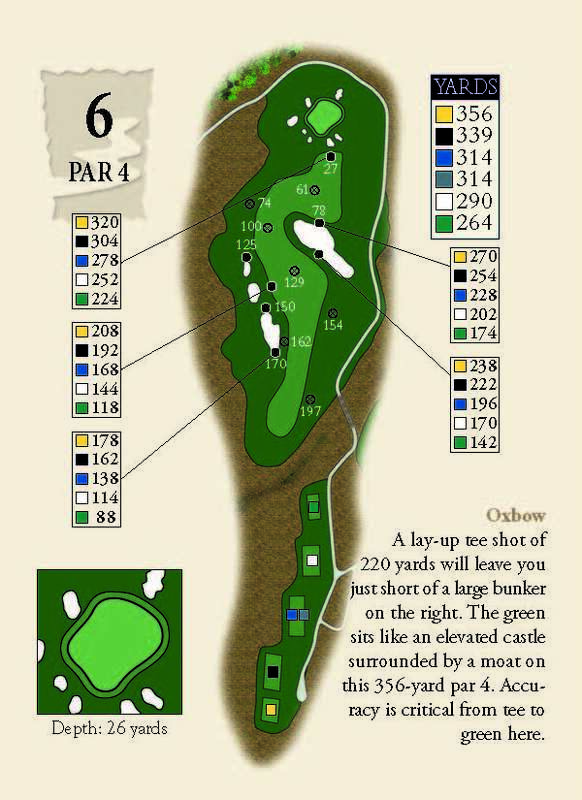 At the end of the fairway, past strategically-placed bunkers, is a small, well-guarded green. 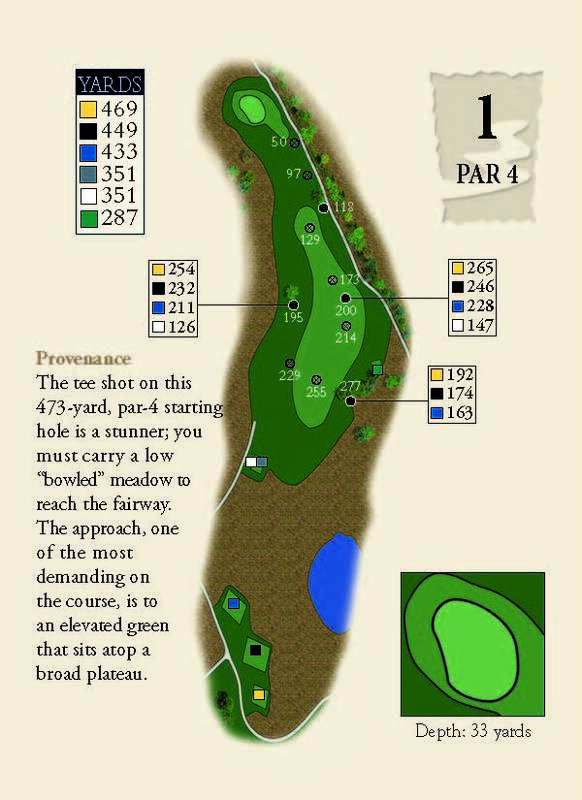 At 235 yards, this is the longest par 3 on the course. 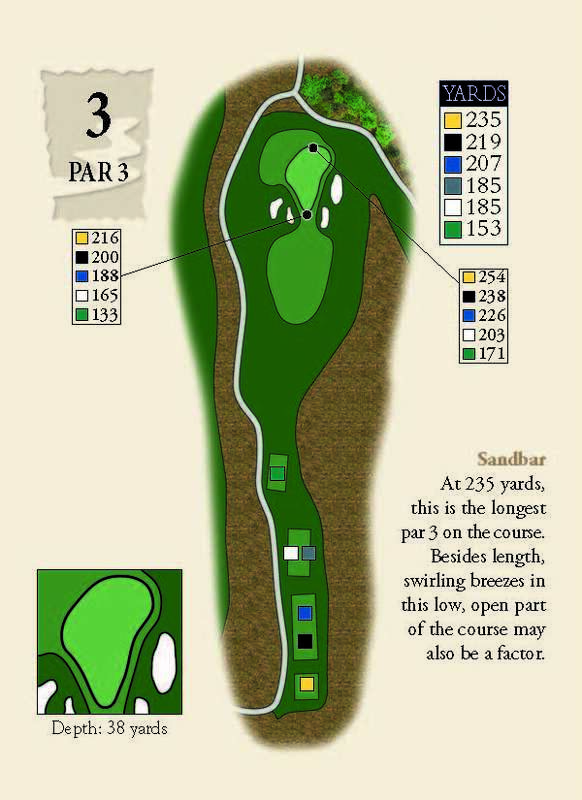 Besides length, swirling breezes in this low, open part of the course may also be a factor. 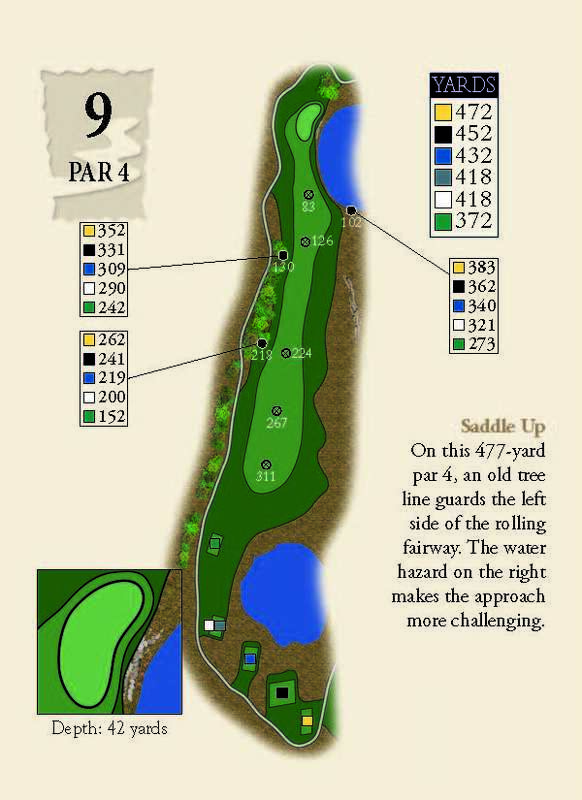 The landing area is ample on this 464-yard par 4 for most players, but the fairway narrows and is squeezed by multiple small pot bunkers where the long hitters dare to go. 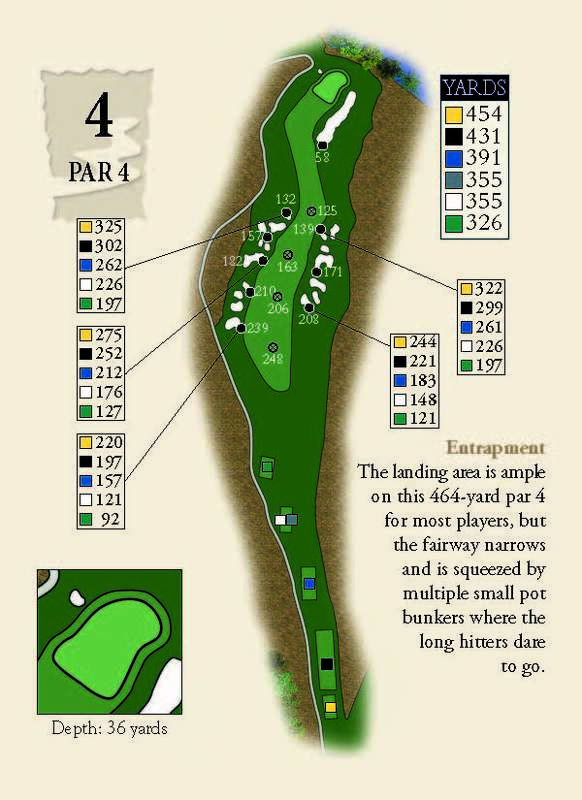 This 407-yard par 4 doglegs slightly from left to right. 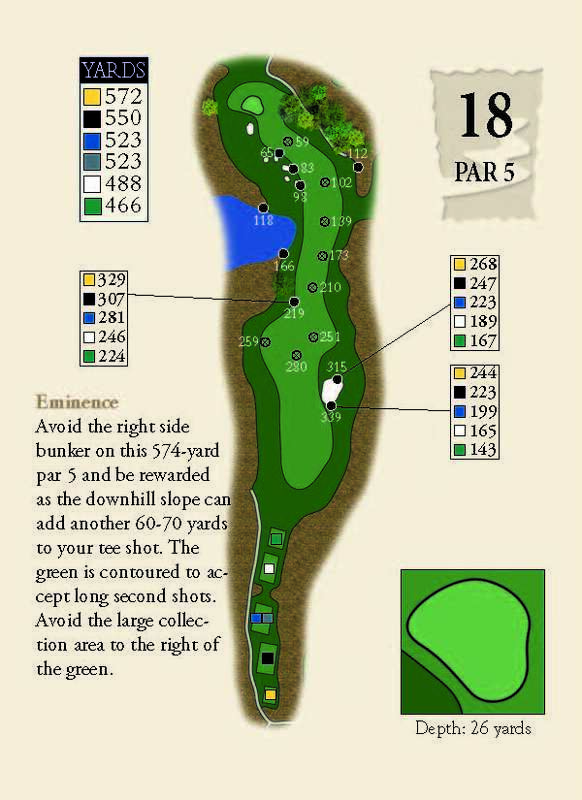 The second shot is to an elevated green that is open in front but guarded by a deep bunker to the left. A lay-up tee shot of 220 yards will leave you just short of a large bunker on the right. The green sits like an elevated castle surrounded by a moat on this 356 yard par-4. Accurancy is critical from tee to green here. 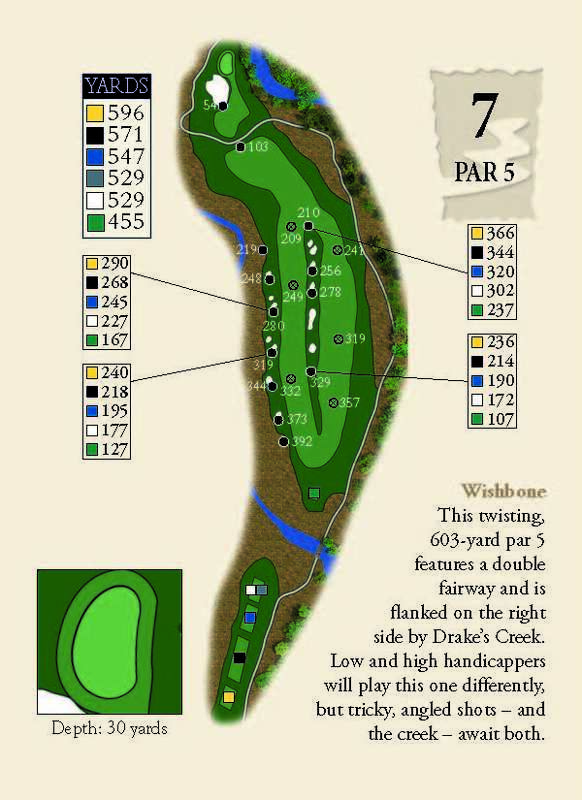 This twisting, 603 yard par-5 features a double fairway and is flanked on the right side by Drake's Creek. Low and high handicappers will play this one differently, but tricky angled shots - and the creek, await both. 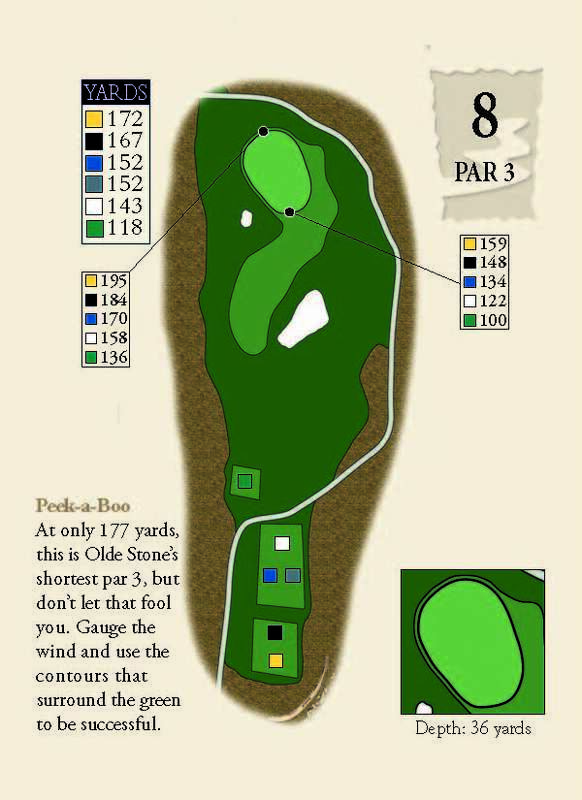 At only 177 yards, this is Olde Stone's shortest par 3, but don't let that fool you. Gauge the wind and use the contours that surround the green to be successful. On this 477 yard, par 4, an old tree line guards the left side of the rolling fairway. The water hazard on the right makes the approach more challenging. The tee shot on this 420 yard par-4 is tricky. 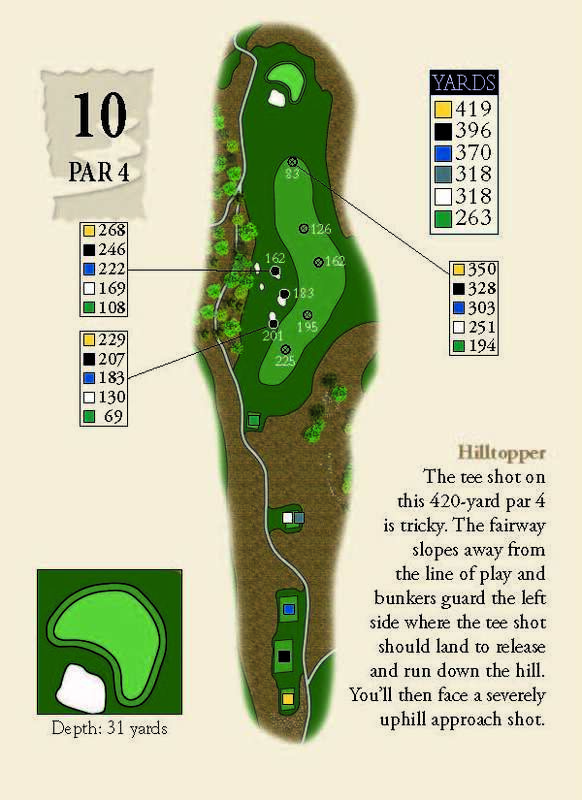 The fairway slopes away from the line of play and bunkers guard the left side where the tee shot should land to release and run down the hill. You'll then face a severely uphill approach shot. 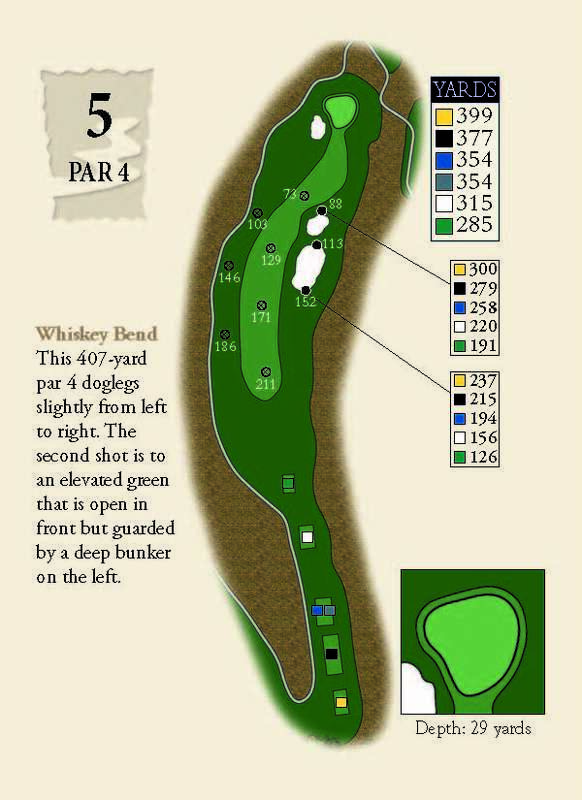 This par 5 is reachable at 553 yards. Aim just right of the large Sycamore tree off the tee. Anything left of the tree will be in the rough and obstructed by the hill beyond. Long hitters will be tempted to go for this green in two. 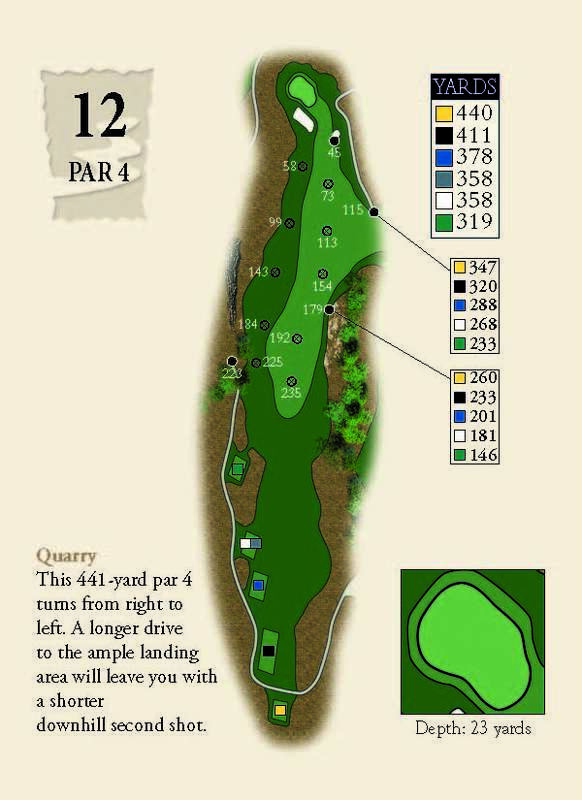 This 441 yard, par-4 turns from right to left. A long drive to the ample landing area will leave you with a shorter downhill second shot. 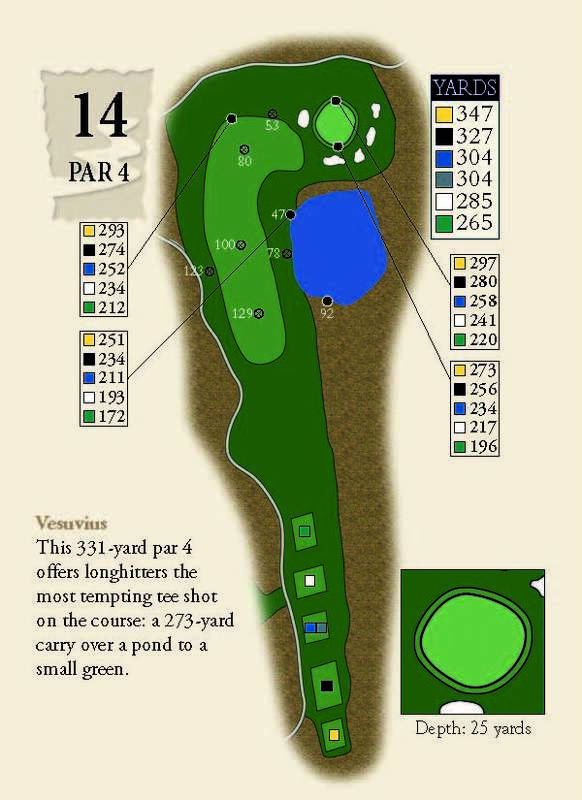 This 331 yard par 4 offers longhitters the most tempting tee shot on the course: a 273 yard carry over a pond to a small green. Those who lay up in the fairway must still contend with a large Sycamore tree at the pivot of the turning point. 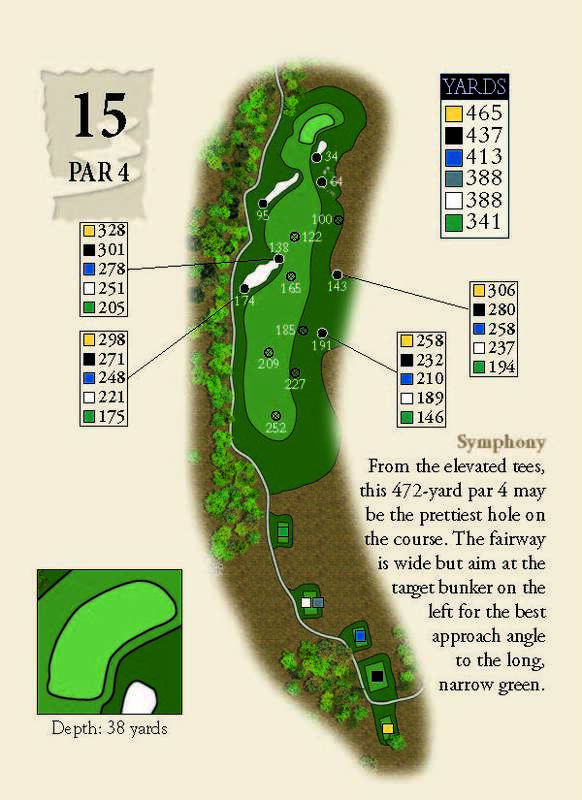 From the elevated tees, this 472 yard, par 4 may be the prettiest hole on the course. 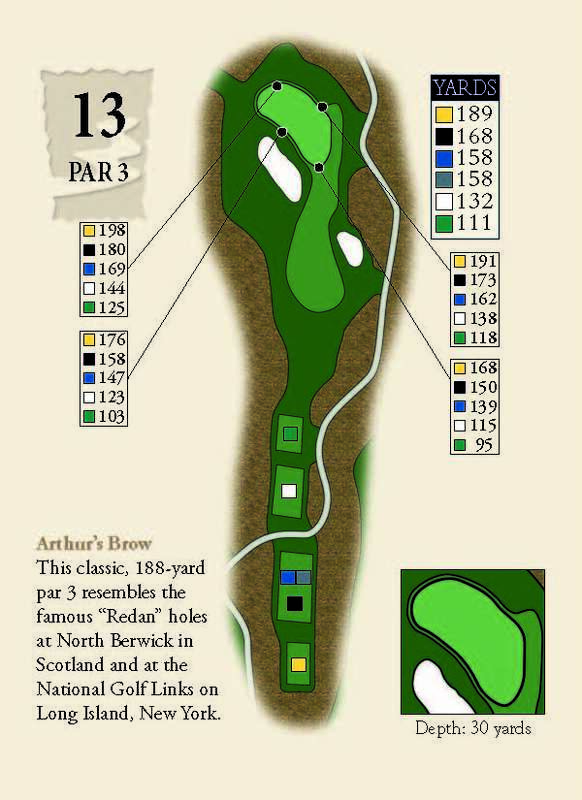 The fairway is wide but aim at the target bunker on the left for the best approach angle to the long narrow green. 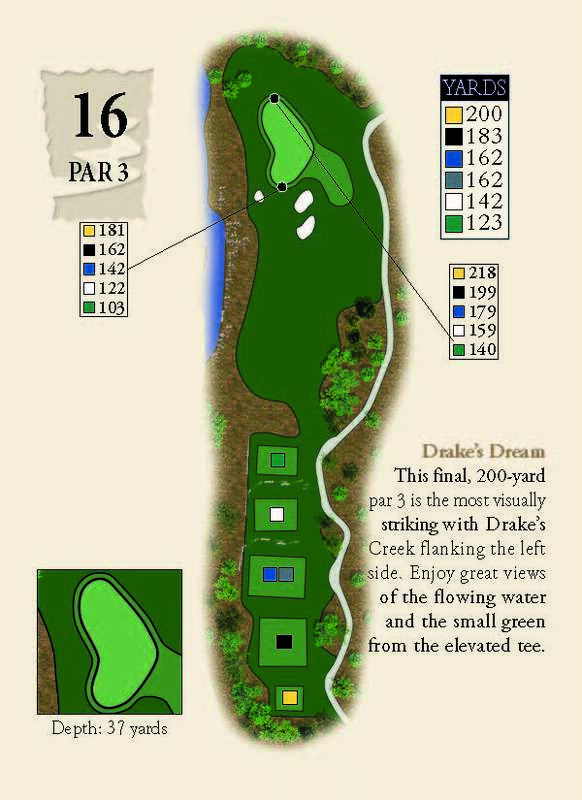 This final, 200 yard par-3 is the most visually striking with Drake's Creek flanking the left side. Enjoy great views of the flowing water and the small green from the elevated tee. 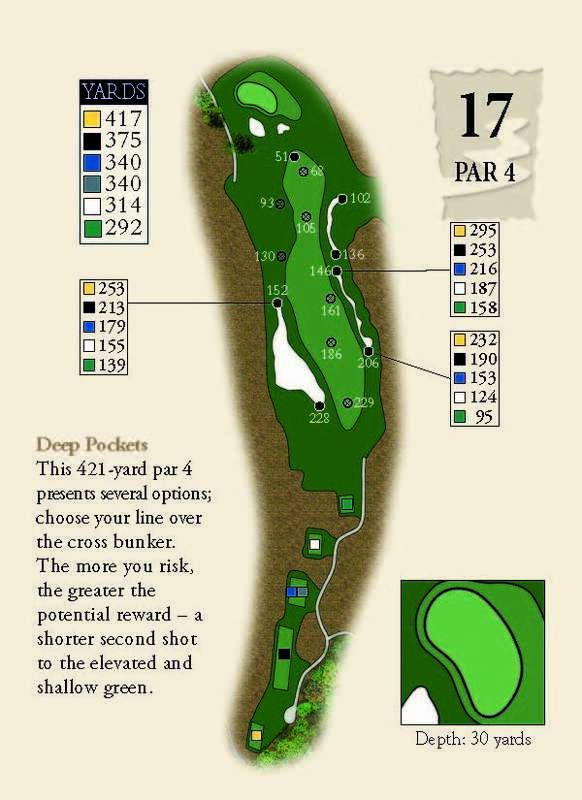 This 421 yard par-4 presents several options; choose your line over the cross bunker. The more you risk, the greater the potential reward - a shorter second shot to the elevated and shallow green. 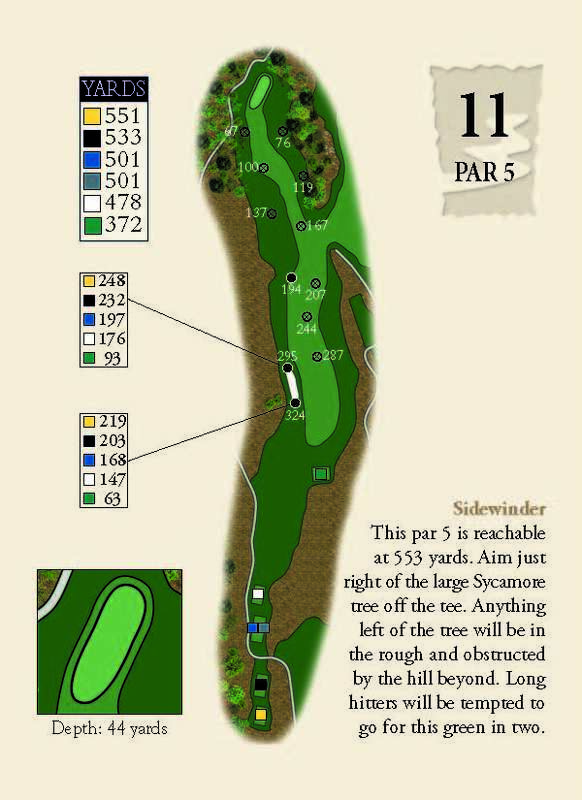 Avoid the right side bunker on this 574 yard par-5 and be rewarded as the downhill slope can add another 60-70 yards to your tee shot. © 2019 The Club at Olde Stone. All Rights Reserved.